Abbiamo pensato di presentare ai nostri contatti le potenzialità della stampa 3D attraverso un esempio specifico: la stampa 3D di anime solubili per parti in carbonio. Queste strutture permettono di superare molti limiti delle lavorazioni tradizionali, ottenendo parti finali dal design avanzato, dalle superfici lisce sia esternamente sia internamente e prive di giunture. È solo una delle mille integrazioni della stampa 3D con metodi di produzione più tradizionali, ma crediamo possa mostrare efficacemente cosa può fare la tecnologia. Progetta con Genialità presenta in prima assoluta per l’Italia Stratasys J750, la prima stampante 3D al mondo multi-materiale e full color. Al design spinto permesso dalla stampa in 3D, la J750 unisce la più ampia gamma di colori e la massima risoluzione dei dettagli. In soli 45 minuti conoscerai le affermate tecnologie di Stampa 3D Stratasys, in grado di ridurre drasticamente il time-to-market, realizzare componenti molto complessi e personalizzare virtualmente ogni singolo oggetto prodotto. In soli 45 minuti scoprirai le soluzioni Stratasys per la prototipazione rapida, che consentono una drastica riduzione dei tempi, dei costi di re-engineering e degli sprechi. Attraverso casi concreti illustrati direttamente da Italo Moriggi (General Manager di Skorpion Engineering) imparerai come realizzare rapidamente e in modo economico prototipi multicolori, di dimensioni reali e in vari materiali, anche flessibili e trasparenti. Meet the world's first full-colour, multi-material 3D printer. The Stratasys J750 isn't just our latest innovation. It's yours. It's any shape you can imagine, any colour you can dream of, and any detail words can't express — made tangible in a matter of hours. And it's knowing for sure that your next big thing is as spectacular as you envisioned. See all the details in this video. Not all ears are created equal. Which is why Normal, based in New York, decided to end the one-size-fits-all paradigm with a game-changing 3D printing concept. Customers scan their ears with an easy to use phone app and send the results, along with their color and cord length requests, to Normal. Normal keeps 10 Fortus 250mc 3D Printers busy producing the customized earphone pieces. In as little as two days the earphones - looking great, sounding amazing and fitting...like a glove (if they had gloves for ears) - are on their way to you. Mass customization - that where manufacturing is going with Stratasys 3D printing! Aurora Flight Sciences, a Virginia-based manufacturer specializing in advanced UAV systems, is pushing the envelope of UAV design by teaming up with Stratasys to create the world’s first jet-powered, 3D printed aircraft. Using 80% 3D printed parts, the UAV is composed of Stratasys’ ULTEM™ 9085 lightweight material to achieve flight speeds of over 150 Mph. The high-speed system boasts an impressive 9 ft wingspan and weighs in at only 33 lbs. Watch Dan Campbell, Aerospace Research Engineer at Aurora Flight Sciences, explain how the UAV project met a number of goals using Stratasys 3D printing solutions. And see it soar! Champion Motorsport designs and manufactures after-market parts for high-end cars. Well, the soluble cores allow me to make parts and design parts that I previously probably wouldn't have considered because of the difficulty it would have taken to create those parts. With Stratasys FDM's sacrificial cores and mandrels, manufacturers are realizing a cost savings of 50% to 85% in time and 75% to 95% in cost with reduced tooling and set up. Additionally, the consistency and yield of cores is improved. The end part benefits from increased design freedom, controlled internal surface finish, and accuracy, as well as seamless, single-piece construction. Additive manufacturing is enabling the United Launch Alliance to be leaner, more cost effective and more efficient. Learn how Netherlands-based Aerialtronics builds UAVs faster and with customized components using Stratasys 3D Printing. The company's uPrint SE Plus 3D Printer produces flying prototypes that reduce R&D times by 50% while facilitating special customer-requested features. Marketing expert Bruce Bradshaw, chats with Dr. Kevin Dowling, the lead engineer at 4Moms, a company dedicated to making innovative baby products. Tune in to gain essential information on how to strengthen, modernize and accelerate your business through 3D printing. 3D printing has emerged as an important, growing trend in medical in 2015 and is expected to increase in 2016. From patient specific models for surgical planning, to clinical training and education using anatomical models, to additive manufacturing of end use parts, this webinar will present a range of applications to employ 3D printing across your R&D, clinical, marketing, manufacturing and training organisations. In this dynamic webinar, hear directly from the industry expert Frank Schaeflein, from Stratasys, who will explain the transformational benefits of 3D printing solutions for injection molding, jigs and fixtures, End of Arm Tools and production parts. Learn how to redefine productivity in your business. 3D printing has emerged as an important, growing trend in medical in 2015 and is expected to increase in 2016. From patient specific models for surgical planning, to clinical training and education using anatomical models, to additive manufacturing of end use parts, this webinar will present a range of applications to employ 3D printing across your R&D, clinical, marketing, manufacturing and training organizations. 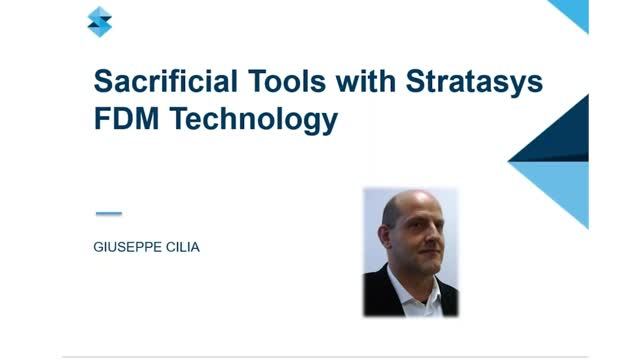 Hosted by Rose Brooke, Editor of European Plastic Product Manufacturer, in this dynamic webinar you can hear directly from industry experts, Amos Breyfogle from Stratasys, and Jim Sargent from Whale Pumps who have already discovered the transformational benefits of 3D printing solutions for injection molding, jigs and fixtures, End of Arm Tools and productions parts. Tune in to learn how you can redefine productivity in your business. Stratasys and product design consultancy Design Reality will explore what is possible today with advanced 3D printing. Multi-material, multi-colour 3D printing has provided a significant shift forward in terms of ultra-realistic prototyping. This webinar will lift the lid not just on the latest technology, but also on the most innovative techniques. Stratasys continues to produce the most capable 3D printers and materials. These allow designers worldwide to create better products, thanks to better testing at prototype stage. Design Reality specialise in all aspects of product design consultancy, focusing on product development through industrial design, product design and the aid of 3D printing. They support clients’ projects from concept through to manufacture. Join us for this interactive webinar to find out how your own product design can be maximised thanks to ground-breaking 3D printing. Contenido del webinar: 1- El impacto de la impresión 3D. 2- Proceso de impresión 3D. 3- Aplicaciones y sectores. 4-Ventajas de la impresión 3D para su empresa. 5-Experiencia del cliente.